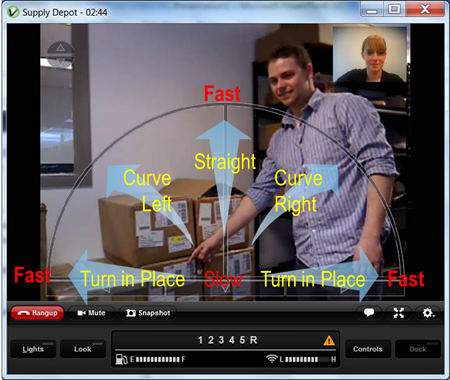 The remote person brings up the VGo App on their iPad or computer (PC or Mac, clicks on the location they need to visit – and instantly they are there. VGo connects to the network (internet) using WiFi or Verizon 4G LTE service. 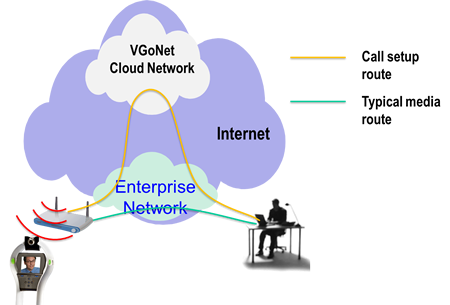 VGo is continually monitored by a purpose built cloud-computing network (VGoNet) that keeps track of its availability and initiates telepresence upon request by a remote user. VGoNet uses its intelligence to establish the best connection through the network to provide the highest possible quality. If both the remote user and the VGo are within an enterprise network, then the data comprising the audio, video and driving controls all stays within that network. Check out our FAQs for more answers to common questions.